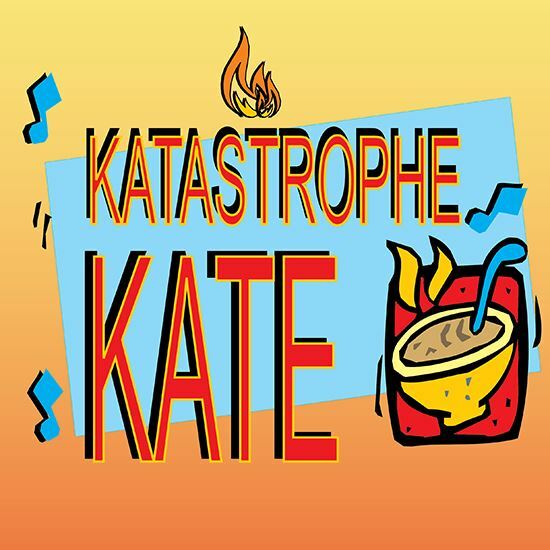 Hold on to your tumbleweeds 'cause here comes the legendary Katastrophe Kate, the most dangerous woman in the West! Whaddaya mean, you never heard of her!!? Didn't ya know that Texas has a panhandle on accounta she was such a great cook?! This 90-minute Tex-Mex musical tall tale begins when Katherine, a mild-mannered, Eastern born and bred protegee of world-famous chef, Madame Julia Enfant, must transform herself into Katastrophe Kate in order to conquer the Wild West with her chili recipe. In a steamy cook-off at Miss Lillian's Saloon, Kate also has a little romance simmerin' on the back burner with her arch rival, Jose Habanero, who claims to have the hottest chili in the Southwest. Into the musical melting pot, throw some dancin' girls called the Fosse Posse, add a dash of international outlaws for spice, and pepper with a prying reporter named Penelope Penmore, and you have a recipe for one red-hot, toe-tappin' Texas chili party! The rip-roarin' score has just the right country-western flavor, featuring songs like "Texas Rodeo Angel," "I Think She's Got It," "Hot Stuff," "I Feel Lousy," and "Showdown."